New York, New York–February 13, 2019– Network-1 Technologies, Inc. (NYSE AMERICAN: NTIP), a company engaged in the development, licensing and protection of intellectual property, announced today that the U.S. Patent and Trademark Office issued U.S. Patent No. 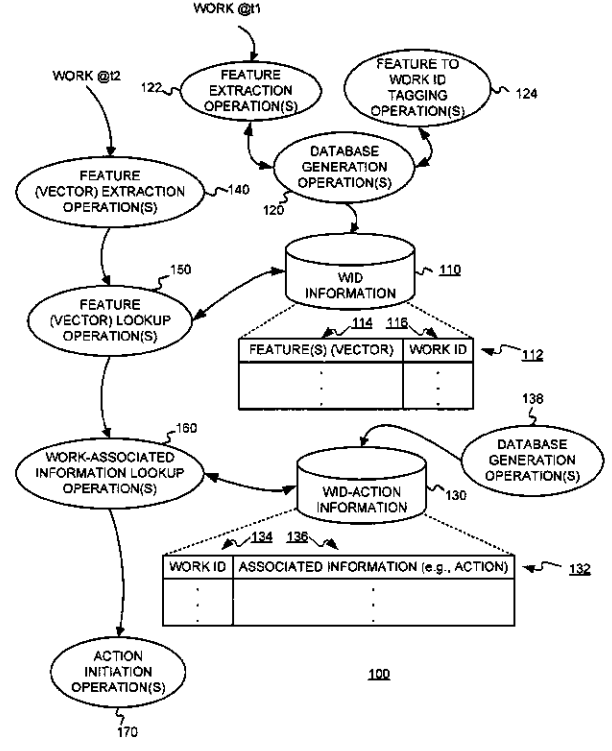 10,205,781 (“Methods for Using Extracted Features to Perform an Action Associated with Selected Identified Image”). The claims of the newly issued ‘781 patent are generally directed towards methods of content extraction and identification, including performance of actions following therefrom. The newly issued ‘781 patent arises from a patent application contained in the patent portfolio acquired by Network-1 from Professor Ingemar Cox in 2013 (the “Cox Patent Portfolio”). The Cox Patent Portfolio includes patents relating to enabling technology for identifying media content, such as music and videos, and taking further actions to be performed based on such identification including, among others, the insertion of advertisements and the facilitation of the purchase of goods and services relating to the media content. Since the acquisition of the Cox Patent Portfolio, Network-1 has filed thirty-two (32) additional patent applications, twenty-four (24) of which have been issued bringing the total Cox Patent Portfolio of granted patents to twenty-nine (29). Eight (8) applications relating to the original specification are still pending and Network-1 anticipates further issuances of additional claims for its Cox Patent Portfolio. Network-1 Technologies, Inc. is engaged in the development, licensing and protection of its intellectual property and proprietary technologies. Network-1 works with inventors and patent owners to assist in the development and monetization of their patented technologies. Network-1 currently owns sixty-five (65) patents covering various telecommunications and data networking technologies as well as technologies relating to document stream operating systems and the identification of media content. Network-1’s current strategy includes continuing to pursue licensing opportunities for its Remote Power Patent and its efforts to monetize three patent portfolios (the Cox, Mirror Worlds and M2M/IoT Patent Portfolios). Network-1’s strategy is to focus on acquiring and investing in high quality patents which management believes have the potential to generate significant licensing opportunities as Network-1 has achieved with respect to its Remote Power Patent and Mirror Worlds Patent Portfolio. Network-1’s Remote Power Patent has generated licensing revenue in excess of $143,000,000 from May 2007 through September 30, 2018. Network-1 has achieved licensing and other revenue of $47,150,000 through September 30, 2018 with respect to its Mirror Worlds Patent Portfolio. This release contains forward-looking statements within the meaning of the “safe harbor” provisions of the Private Securities Litigation Reform Act of 1995. These statements address future events and conditions concerning Network-1’s business plans. Such statements are subject to a number of risk factors and uncertainties as disclosed in the Network-1’s Annual Report on Form 10-K for the year ended December 31, 2017 filed with the Securities and Exchange Commission, including, among others, the continued material adverse effect on Network-1’s business, results of operation and cash-flow if the District Court order confirming the HP jury verdict finding of non-infringement is not reversed by the Federal Circuit Court of Appeals, the risk that Network-1 will not continue to receive material royalty revenue from licensees of its Remote Power Patent, the uncertainty of Network-1’s revenue stream, the ability of Network-1 to successfully execute its strategy to acquire or make investments in high quality patents with significant licensing opportunities, Network-1’s ability to achieve revenue and profits from its Cox Patent Portfolio, its M2M/IoT Patent Portfolio and additional revenue and profit from its Mirror Worlds Patent Portfolio as well as its investment in IliAD Biotechnologies, LLC or other intellectual property it may acquire or finance in the future, the ability of Network-1 to enter into additional license agreements, uncertainty as to whether cash dividends will continue be paid, the uncertainty of patent litigation and proceedings at the United States Patent and Trademark Office, the difficulty in Network-1 verifying royalty amounts owed to it by its licensees, Network-1’s ability to enter into strategic relationships with third parties to license or otherwise monetize their intellectual property, the risk in the future of Network-1 being classified as a Personal Holding Company, future economic conditions and technology changes and legislative, regulatory and competitive developments. Except as otherwise required to be disclosed in periodic reports, Network-1 expressly disclaims any future obligation or undertaking to update or revise any forward-looking statement contained herein.